In the midst of Hanukkah and Christmas, adults and kids alike are anxious and excited to find out what type of gifts they’ll receive. As much fun as toys can be safety must be a priority. According to Prevent Blindness America, approximately 11,000 toy-related eye injuries occur each year. We’ve provided a list of the kind of toys to avoid when buying for young children. 1- Guns that shoot ANY type of projectile. This includes paintball guns, BB guns, “Nerf” guns or guns that shoot soft darts. Some of these toy guns can shoot fast enough to cause serious eye injury, including a retinal detachment. 2- Toy wands, swords, or sabers. These are hazardous for obvious reasons, including blunt trauma. 3- Water balloon launchers and water guns. Water balloons can cause blunt trauma to the eye that can lead to permanent vision loss. Even water guns that shoot a stream of water can cause serious eye damage when used at a close range. 4- Laser pointers. Laser pointers should never be used by children as these devices can cause permanent vision loss. 5- Aerosol string. The chemicals in these products can cause eye irritation and a specific type of pink eye. These can also cause corneal abrasions. With that being said, these toys can be a lot of fun when used properly, with eye protection, and adult supervision. Trust your best judgment. Once a toy has passed your safety checks, demonstrate proper toy use. 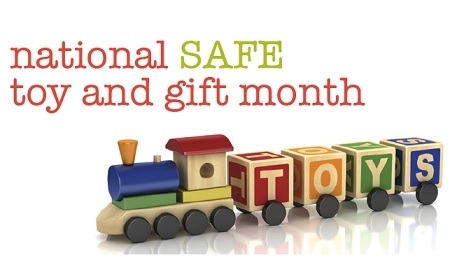 Put toys away after playtime and keep toys designed for older children away from little ones. Keep your children safe this holiday season.